My last baby is a no longer much of a baby (9 months) but there are tons of babies that are being born in my life right now. Both my cousin and my nephew are expecting babies soon, and one thing that helped me most to make it through the super stressful nights was swaddling my baby. I recently received a sample of the Miracle Blanket and have been playing with this to see just how it works, and I am very impressed with it. 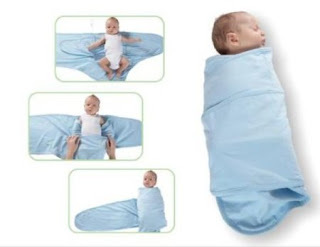 First off, this blanket is very soft and 100% cotton so it is breathable and stretchable for the baby. 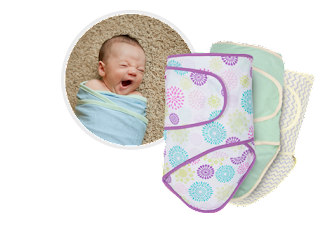 It makes the miracle of swaddling easy for new moms, which is perfect for my cousin who is expecting her first. Swaddling a baby makes them feel more secure, and keeps them safe and warm just like they were when they were in their mama's belly. The Miracle Blanket is soft, stretchy, and as I mentioned it definitely makes swaddling babies easy. During the first few weeks without our oldest, my husband and I both struggled with swaddling him, and we were both trained nurses, who actually learned how to do this in nursing school! Anything to make a new moms life easier is a win win in my book! I cannot wait for her prince or princess (we will know any day now) to come so we can use this on them. I know this blanket will provide her such peace of mind, knowing that she has them swaddled correctly.